A new generation of Knotters Tool! NEW AND IMPROVED DESIGN! 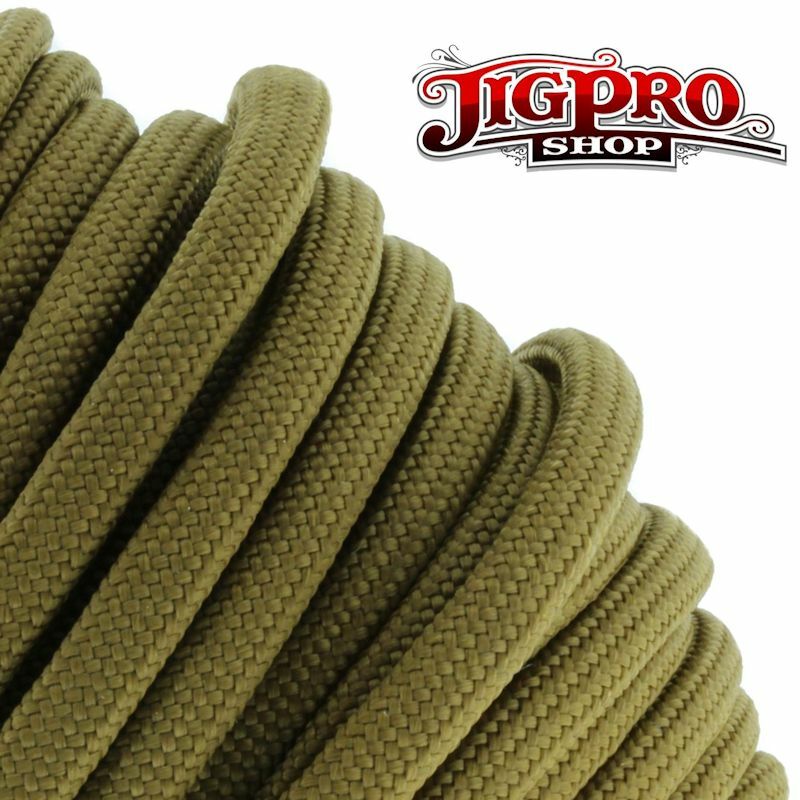 Longer and more tapered for improved use with smaller cords, without sacrificing utility for heavier cord! Pocket clip has been changed to allow for easier use. Available in Black or Silver Anodized Aluminum or Stainless Steel Finishes! Made from extremely high quality medical grade stainless steel! Spring metal clip with precision etching. Perfect size at approximately 6 1/4" long x 9/16" diameter. Hollow core approximately 3 9/16" long x 5/16" diameter - perfect for storing our 3 1/2" stitching needles! Machined to a slightly rounded tip so it won't snag or fray cordages. 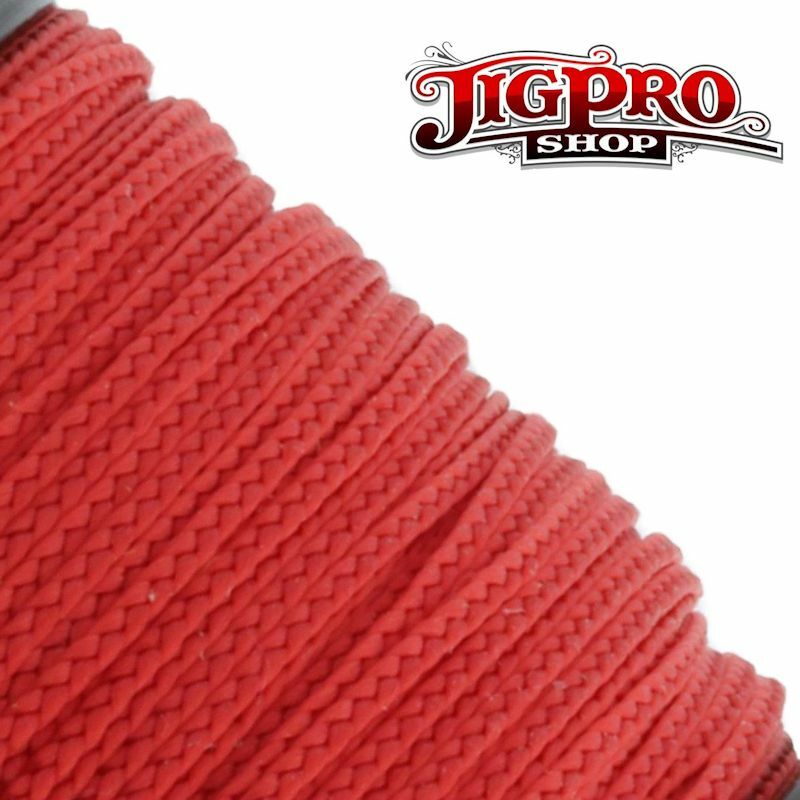 This is the perfect tool for loosening and tightening knots in all types of rope and cord. 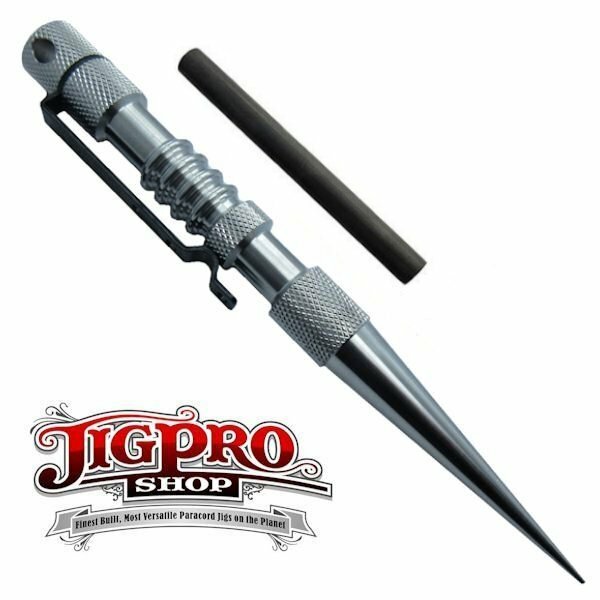 Also known as a marlin spike, this tool works great for rigging and nautical purposes. This is a great, lightweight EDC item for your bug out bag. 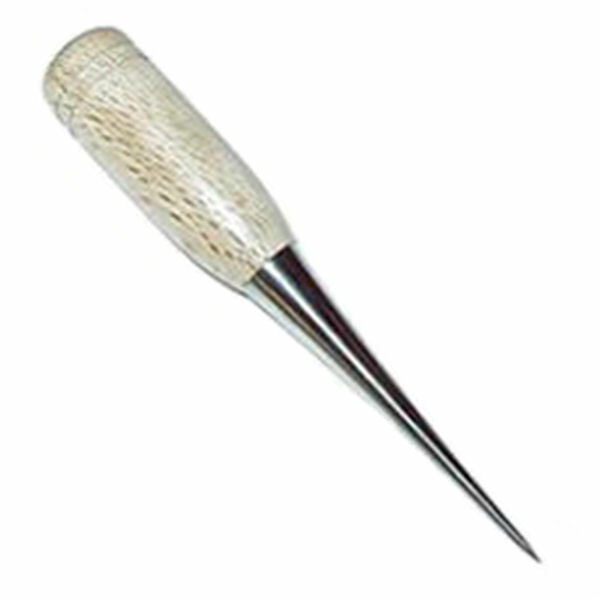 Please Note: The core of the Knotters Tool will accommodate a set of 3 different size lacing needles. It will not accommodate 2 or more of our Type III 550# lacing needles.